The apartments are rented on a weekly basis (from Saturday to Saturday) or on a daily basis (minimum of 2 days). 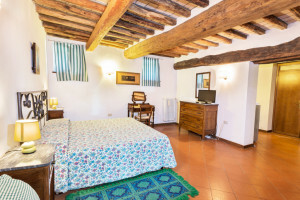 The room “Fico” can also be rented for a single day. When booking we require a deposit of 30% of the entire stay, whereas the balance is due upon arrival. For the deposit we accept credit cards: Visa and Mastercard, or bank transfer, the balance may be paid in cash. Cancellation policy: a cancellation later than 7 days before the arrival date requires 100% payment of the entire stay. Upon your arrival the apartments are consigned from 16:00, on the day of departure the same apartments must be vacated by 10:00. Autonomous heating for each apartment, you will be charged the price of 10.00€ / night per apartment during the winter season.